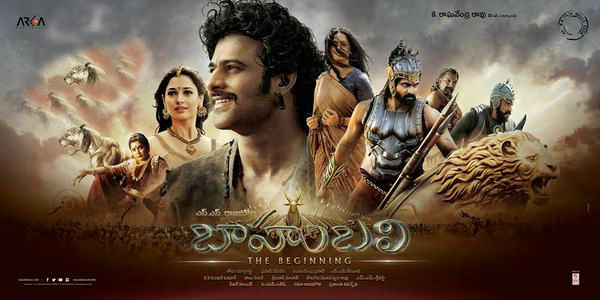 SS Rajamouli’s “Baahubali – the Beginning” (Bahubali) kept the bells ringing at the worldwide box office in its fourth week as well, taking its 28-day global total collection to Rs 525 crore gross. In its fourth week, some of the screens were snatched from “Baahubali – the Beginning” by “Drishyam” and other new Telugu and Tamil releases. But, these new films could not stop the movie from continuing its rocking run at the ticket counters. The film registered an average of 70% occupancy in its fourth weekend and around 60% occupancy during weekdays. The Prabhas and Rana Daggubati starrer is estimated to have grossed approximately Rs 35 crore in its fourth weekend and Rs 25 crore during the weekdays. In its fourth week, “Baahubali – the Beginning” has collected approximately Rs 60 crore gross at the worldwide box office, taking its 28-day total collection to Rs 525 crore gross.